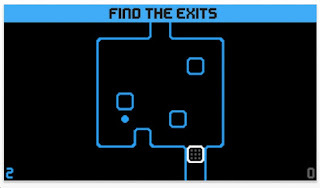 When I first saw Squarescape (see the blue image), I thought to myself: okay here's another maze game where you have to slide your man as far as it can travel, pick up an object, and then find the exit. Old school computer graphics. As I whizzed through, I discovered the more interesting levels. Look at the orange image. Those orange squares can shift within their zones. Just tap on the arrows. Very nice challenging element. Look at the purple image. The purple square shifts on its own. So, when you slide your man (the white square) you must time it carefully. I should also mention that if your man passes over an X, you die. Check out the green image. 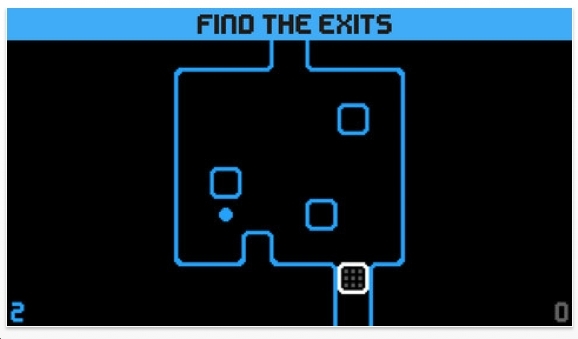 See the 3x3 gray dots? If you pass over them, you will land on that spot. The 1's & 2's - wormholes of course. There are some 100 levels. 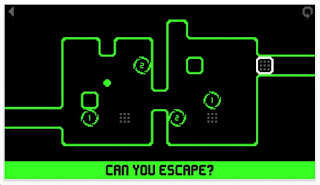 A lot of them are easy. A good number are challenging. 70 levels are totally free. 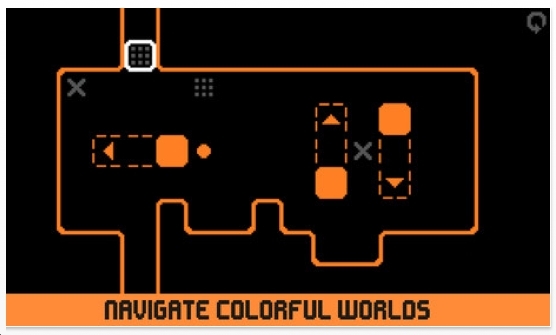 The next 15 levels require you to leave feedback on the App Store. The final 15 cost $.99. I bought it. 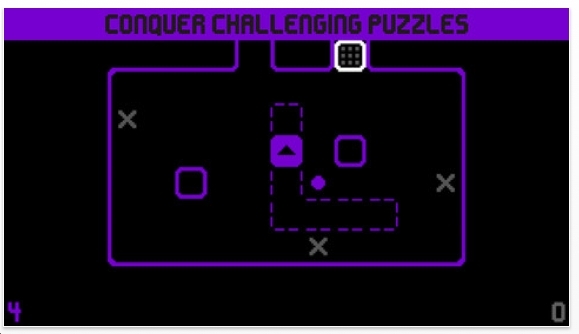 Right now I have solved everything except the very last puzzle, which I'll do later today. The bottom line, these are fun! Squarescape was made by Jacob Koch. The game came out last year, but I did not discover it until very recently. 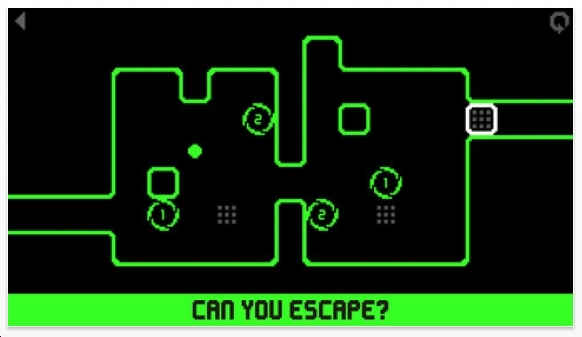 Therefore, it qualifies as one of the Best Puzzle Apps of 2013. My list - my rules. You will like this game. You should also download Woodhead, which also came out last year. It's very similar and it also has innovative elements. Trust me on Woodhead too.